Welcome to the East Frisian embassy! 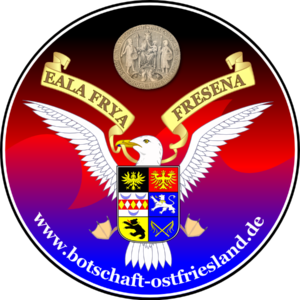 Here, we present some information about East Frisia to all friends of East Frisian living and culture. And we offer a home to all “Butenostfreesen” (East Frisians abroad) world wide! The East Frisian embassy is looking back to more than 10 years old history. 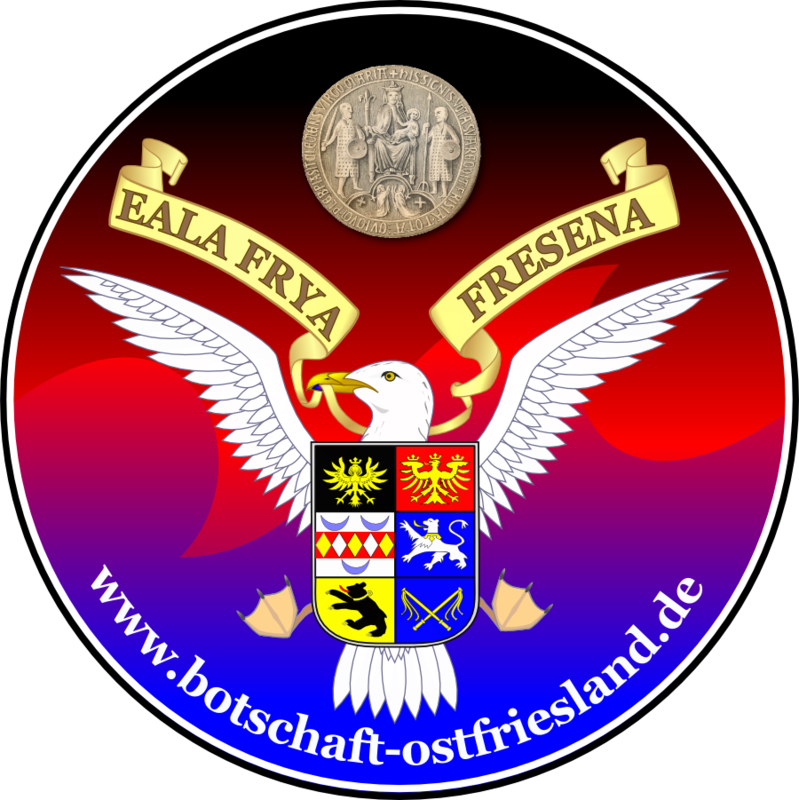 Its beginning goes back to the year 1996, when emigrated East Frisians in Illmenau and Greifswald (both cities in the Germany) founded East Frisian representations. Their influence was still limited locally to the very cities. and last but not least support for East Frisians in their new, unfamiliar environments. Especially the last point caused not seldom wonderment within the foreign public. However, each East Frisian will agree that live in foreign countries is not always easy going. Starting with homesickness, over the lack of real East Frisian tea, until the loss of a the native tongue (Lower Saxonian or “Plattdüsk”). The East Frisian embassy does its very best, to help all East Frisians with words and deeds world wide. Since 1997 we offer our own webpage. The new possibilities of the world wide web facilitates our daily work: For example, in the early days the East Frisian indentity cards had to be build by the ambassadors with their own hands and to be send by normal mail. This is now done in a much easier and faster way via internet. Already long in the past the East Frisian embassy proved to be an innovative motor of European political develpoments. In 1997 we developed a questionary for naturalization – a service copied by our neighbour countries Germany and the Netherlands to their immigrants in 2006. The East Frisian embassy will continue to extend its service in the future. Ideas and criticism are welcome! We are looking forward to come in contact with you!